Small volumes of COL3 elisa kit vial(s) may occasionally become entrapped in the seal of the product vial during shipment and storage. If necessary, briefly centrifuge the vial on a tabletop centrifuge to dislodge any liquid in the container`s cap. Certain products may require to ship with dry ice and additional dry ice fee may apply. MBS764131 is a ready-to-use microwell, strip plate ELISA (enzyme-linked immunosorbent assay) Kit for analyzing the presence of the Collagen Type III (COL3) ELISA Kit target analytes in biological samples. The concentration gradients of the kit standards or positive controls render a theoretical kit detection range in biological research samples containing COL3. The ELISA analytical biochemical technique of the MBS764131 kit is based on COL3 antibody-COL3 antigen interactions (immunosorbency) and an HRP colorimetric detection system to detect COL3 antigen targets in samples. The ELISA Kit is designed to detect native, not recombinant, COL3. Appropriate sample types may include undiluted body fluids and/or tissue homogenates, secretions. Quality control assays assessing reproducibility identified the intra-assay CV (%) and inter-assay CV(%). Principle of the Assay||This kit was based on sandwich enzyme-linked immune-sorbent assay technology. anti-Mouse COL3 antibody was pre-coated onto 96-well plates. And the biotin conjugated anti-Mouse COL3 antibody was used as detection antibodies. The standards, test samples and biotin conjugated detection antibody were added to the wells subsequently, and wash with wash buffer. HRP-Streptavidin was added and unbound conjugates were washed away with wash buffer. TMB substrates were used to visualize HRP enzymatic reaction. TMB was catalyzed by HRP to produce a blue color product that changed into yellow after adding acidic stop solution. The density of yellow is proportional to the Mouse COL3 amount of sample captured in plate. Read the O.D. 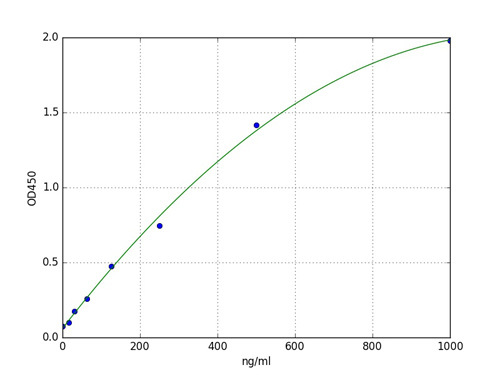 absorbance at 450nm in a microplate reader, and then the concentration of Mouse COL3 can be calculated. NCBI/Uniprot data below describe general gene information for COL3. It may not necessarily be applicable to this product. CO3A1: Collagen type III occurs in most soft connective tissues along with type I collagen. Defects in COL3A1 are a cause of Ehlers-Danlos syndrome type 3 (EDS3); also known as benign hypermobility syndrome. EDS is a connective tissue disorder characterized by hyperextensible skin, atrophic cutaneous scars due to tissue fragility and joint hyperlaxity. EDS3 is a form of Ehlers-Danlos syndrome characterized by marked joint hyperextensibility without skeletal deformity. Defects in COL3A1 are the cause of Ehlers-Danlos syndrome type 4 (EDS4). EDS is a connective tissue disorder characterized by hyperextensible skin, atrophic cutaneous scars due to tissue fragility and joint hyperlaxity. EDS4 is the most severe form of the disease. It is characterized by the joint and dermal manifestations as in other forms of the syndrome, characteristic facial features (acrogeria) in most patients, and by proneness to spontaneous rupture of bowel and large arteries. The vascular complications may affect all anatomical areas. Defects in COL3A1 are a cause of susceptibility to aortic aneurysm abdominal (AAA). AAA is a common multifactorial disorder characterized by permanent dilation of the abdominal aorta, usually due to degenerative changes in the aortic wall. Histologically, AAA is characterized by signs of chronic inflammation, destructive remodeling of the extracellular matrix, and depletion of vascular smooth muscle cells. Belongs to the fibrillar collagen family. 2 isoforms of the human protein are produced by alternative splicing. 1. miR-29a and miR-29b enhance cell migration and invasion in nasopharyngeal carcinoma progression by regulating SPARC and COL3A1 gene expression.